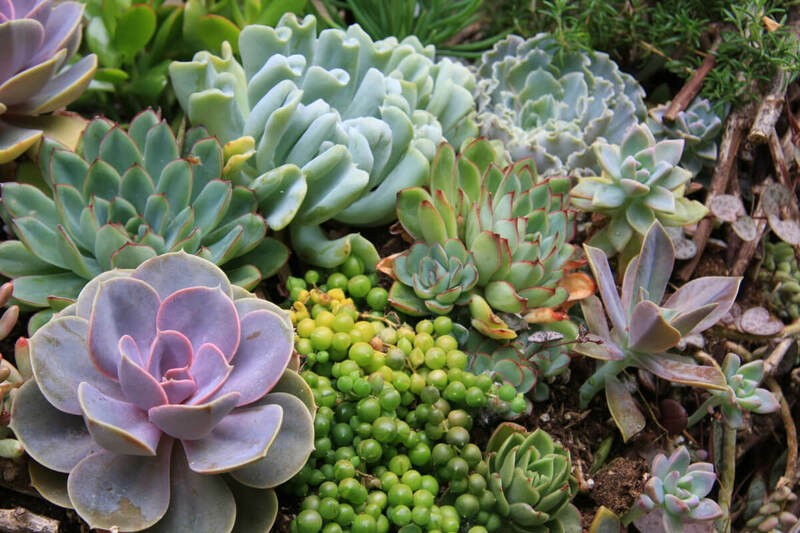 Succulents are plants that do well in dry weather, storing moisture in their thick, waxy leaves. They’ve become household favorites with their unique shapes and relatively easy care, adding texture to gardens and becoming popular plant additions for apartment container gardens. Thinking about adding succulents to your plant baby collection, but unsure of the care that goes along with it? Here are some beginner succulent garden tips to get you started. Choose the right succulents for your abode. These green little beauties come in all shapes and colors. Some can be as tiny as a coin while others can overflow hanging pots in a windowsill after years of healthy growth. If you’re new to succulents, there are a few types that are easier to care for than others- a good starting point to consider as you learn how to cultivate them properly. Our top picks are: agave, aloe, crassula, haworthia and sedum. Get creative with your containers. The fun part about succulents is that you can really plant them in almost any type of container- so don’t be afraid to deviate away from the old clay pot! Building a terrarium is a fun way to spend a rainy day, using a glass mason jar or fish bowl to layer different colored soils and pebbles and then carefully adding your succulents of choice and a cute knick knack or two. Succulents like donkey tails are beautiful in hanging pots, their long tendrils growing from the ceiling on a patio or in a window. Coffee tins are great for a vintage look and if you love clay pottery, don’t worry- you can always grow succulents just fine with one. Watch out for the weather. If you live in cooler regions or an area that receives heavy rainfall, take care to move succulents inside for the time being- especially in light of freezes. Remember, these are dry weather plants, and cannot withstand large quantities of water. This should tell you that overwatering is a big no no as well and one of the most common mistakes beginning gardeners make when it comes to succulents. They need at most one watering per week, until the soil is damp to the touch but not soaked through. Well draining soil is key. Succulents need well draining soil, whether they’re in a pot or planted in the ground. A handy trick is to mix gravel with soil to ensure proper drainage. Crushed pumice or perlite are other great draining options. To further heighten drainage, plant succulents on a mound or slope if able, especially beneficial if planting succulents outside in your garden.